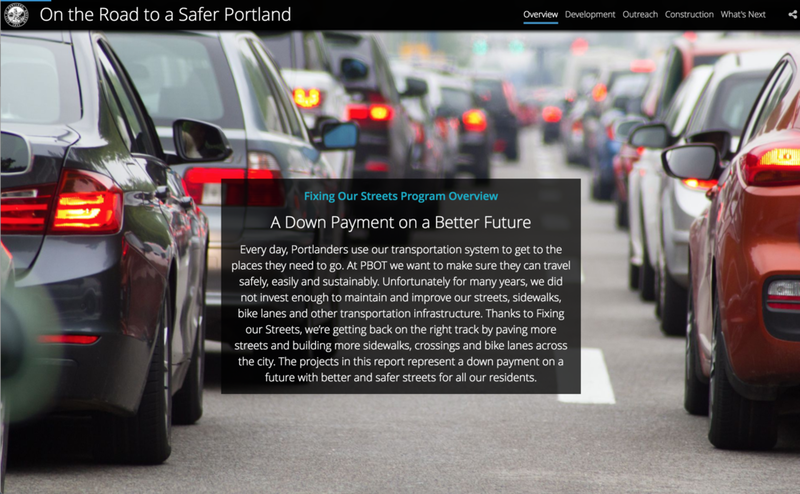 Fixing Our Streets is Portland's locally funded street repair and traffic safety program. 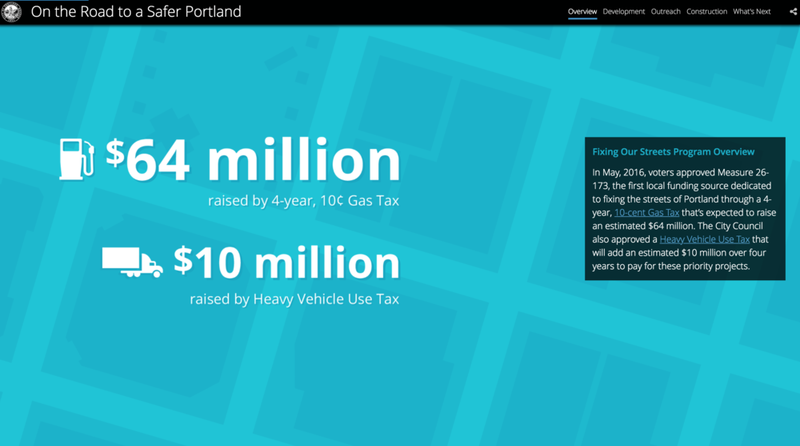 funding for the program comes from things like the 10-cent gas tax and heavy vehicle use tax, which were both voted into existence in the past few years—mean, funding comes directly from Portland residents. part of the promise of this program is to be transparent with how they use that funding, so they enlisted our help to create a 2017 annual report to accomplish that. i took exhaustive amounts of information and broke it down into quick-reading and easily skimmable copy blocks, creating the project title and section headlines and subheads. 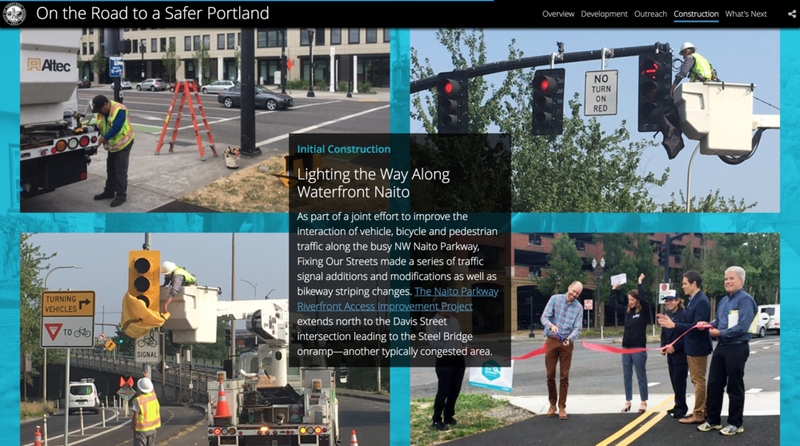 then i worked with the designer to pair that with imagery from completed projects, renderings of planned projects, and some big bold iconography and infographics, all laid out in a narrative that's engaging, easy to follow, and easy to navigate.